I thought it timely to speak about the period we find ourselves in at the moment. We are all in a transition space, as we start to turn off the current system under the Development Act 1993 and progressively turn on the new system under the PDI Act. We have recently seen the first moves into the new system with the establishment of the State Planning Commission (and their assessment committee), the transition to new Development Assessment Panels by 1 October 2017 and release of the Discussion Draft of the Community Engagement Charter today. As you know, the new system is not just tinkering and will be transformational. This will take time and collaboration to do properly. It will also take strong and joined up leadership from our sectors to help manage the change with stakeholders, including staff, elected members and the community. As a result we will be in a transitional space for a while, as we progressively turn off the old system and turn on parts of the new. There is a logical sequence to this and progress can be tracked on the SA Planning Portal. As only a few provisions of the Act have been turned on, the majority of the Act appears in italic text. This means these parts of the Act have not been turned on. In this regard, we are 4 months into a 3 to 5 year implementation program. The Department is working hard to ensure the transition to the PDI Act is smooth and is done in a way that makes sense to practitioners and the community. We are committed to working with and helping the planning and development community by providing information, tools and training along the way. This included the 9 roadshow events with local government and the private sector, where we have spoken to 304 people. A key initiative to support the successful transition is the appointment of Department transition managers across the state. Our transition managers will work with councils to partner and support staff and elected members as we implement the new Act. We also put out an Expression of Interest to seek involvement of practitioners in the development of various elements of the new planning system. It was really pleasing to see over 200 people express an interest to work together. Whilst focussed on our new world, we haven’t taken our eye off our important work with councils in progressing development plan amendments (DPAs), with 40 finalised already this year. We will work with councils in the coming months to determine the best way to manage identified DPA changes, with the new system in mind. Our development assessment system continues to be extremely busy and contribute strongly to the economic development of the State. 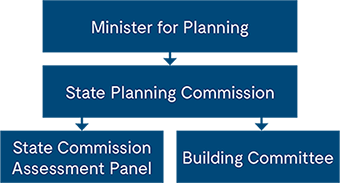 This is an exciting time for planning and development in South Australia and I encourage all to get involved where you can to help shape our new planning system. As always we welcome your feedback and ideas. The State Planning Commission has released a Discussion Draft of the Community Engagement Charter. The principles, outcomes and measures were prepared by a community panel of South Australians working alongside 70 stakeholders – with an aim to improve how engagement occurs around the setting of policy in South Australia. This is the first phase of developing the charter, and the Commission is now seeking further ideas from the community, planning and development practitioners and elected members to assist in the evolution of the charter. The process for developing the Charter is outlined below and involves 12 weeks of consultation over two 6 week periods. The first stage of consultation will run from 28 August to 9 October 2017. Following consideration of the feedback received, the Commission will prepare the statutory consultation draft of the charter, to be accompanied by a guideline document that will describe how the charter could be applied and evaluated. Visit the SA Planning Portal for further information and to have your say. The State Planning Commission assumed the functions of the Development Assessment Commission, Building Rules Assessment Commission, Building Advisory Committee, the Development Policy Advisory Committee and the Local Heritage Advisory Committee on 1 August 2017. This was done to commence the implementation of the changes which will apply under the new Planning, Development and Infrastructure Act 2016 (the PDI Act). The Commission is currently establishing its formal governance arrangements and committee structures, and has established the State Commission Assessment Panel (SCAP) as required under the PDI Act. The new SCAP includes the previous membership of the Development Assessment Commission (DAC), which will continue to assess applications under the Development Act 1993. The general operating procedures will remain. A new web page for SCAP is now live under the State Planning Commission page. The DAC website is still able to be viewed as a historical reference only. In relation to the Development Policy Assessment Committee (DPAC), the Commission will now lead this process including hearing from representors on Ministerial Development Plan Amendments (DPA’s) and providing advice to the Minister. They are being supported by Bryan Moulds (Chair of DPAC) to assist in running the hearing panels with the provision of advice to the Minister. There will also be a new Building Committe that will replace the Building Rules Assessment Commission and the Building Advisory Committee. Its membership is currently being determined. The new ePlanning solution will take South Australian Planning online, reshaping how practitioners and communities engage with the state’s new planning system. 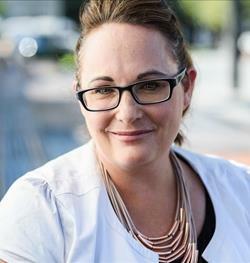 It will provide a single online entry point for all planning matters – the SA Planning Portal. Recently a request went out to take part in an ePlanning survey and DPTI would like to say thank you to the 77 respondents who completed the ePlanning Survey and provided their views on the future ePlanning Solution. The majority of responses were from Councils (86%), with the remaining responses coming from agencies, developers, planning practitioners and surveyors. how enquiries can assist with determining the appropriate assessment pathway. The next steps in the process will be to consider these issues in relation to the development of ePlanning and how these ideas might be incorporated into the system. The Minister has approved the Kilburn and Blair Athol Urban Renewal Development Plan Amendment. The new Urban Renewal Zone allows a mixture of social, affordable and market housing. It will also encourage transition away from heavy, dirty industry to light and service industries in the area. In addition the Minister has announced a funding package of $6 million, equally provided by the the City of Port Adelaide Enfield and the State Government to deliver stormwater infrastructure upgrades and high quality public spaces. This partnership project provides an excellent opportunity to enhance the health, happiness and wellbeing of the residents in the area. It aligns with the 30-Year Plan for Greater Adelaide to redevelop existing suburban areas, provide walkable neighbourhoods, increase green spaces and encourage more use of public transport. The new Public Register is now available on the SA Planning Portal and provides a consolidation of the previous public registers for Land Use and Land Division applications. You can access it at www.saplanningportal.sa.gov.au/public_register. Thank you to those that provided input into its development over the last few weeks/months. Much of this will be incorporated over the next few months to further improve the operation of the public register. If you have any questions or feedback please email dpti.planningengagement@sa.gov.au.